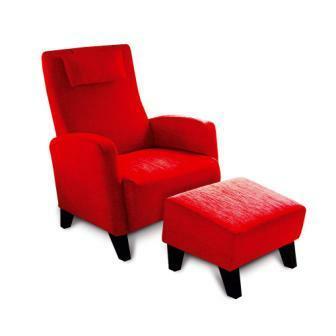 We love this stunning Grafu Baldai - Abella Chair & Footstool! A stylish contemporary look to complement any space in either Natural or Mahogany Foot with loose head pad. The Abella Chair & Footstool is available to order in over 20 colours and fabrics. Note: Pricing Dependent on Fabric Level. If you would like to see our alternative colour options please call in store to view our swatches. Please note special orders can take up to 10 weeks - Terms & Conditions Apply. The stunning Abraham 1 Seater Power Recliner, USB Charger & Comfort Plus Headrest in Top Grain Leather with Bonded Leather (LLB). This suite is built for comfort with Memory Foam and Pocket Sprung seats! Feature stud detailing, Canterbury Legs & moveable headrest. 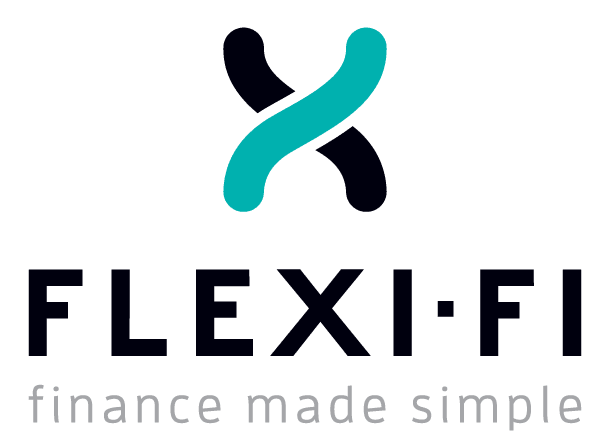 This chair is available in Top Grain Leather with Bonded Leather (LLB), Top Grain Leather with Leather Split (LLS) and Full Leather (FL) options. Note: pricing dependent on leather options. Other options also include Option A: Power Recliner & USB charger socket! Option B: Comfort Plus Headrest. 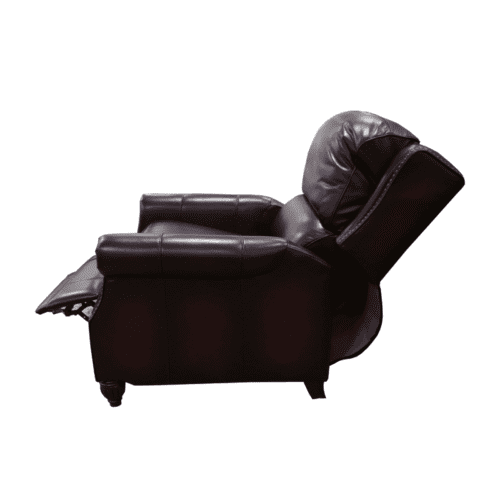 Ultimate Comfort (c): One Touch Close, Memory Functions for your favourite position & Lumbar Support. Available in different colours. If you would like to see our alternative colour options please call in store to view our swatches. Please note special orders can take up to 10 - 12 weeks – Terms & Conditions Apply. Sit back and relax in our beautiful Airfield Corner Chaise built for comfort with nosig springs system and a dacron layer for to create a sharper and fulfilled appearance. Available in Chair & Various Corner Options! Available in a wide range of fabrics and leather levels in different colours. Please note Price is dependent on Fabric Choice & Style. If you would like to see our alternative colour options please call in store to view our swatches. Please note special orders can take up to 18 - 20 weeks – Terms & Conditions Apply. 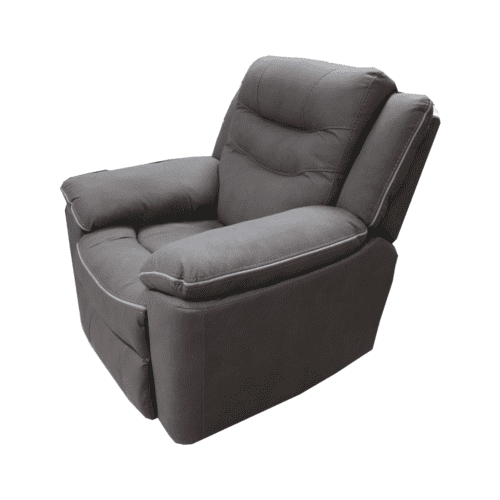 Sit back and relax in our beautiful Alana Reclining Range - with full arm rests, quality support and motorised head rests! Available in many size options & colours – Chair, 2 Seater & 3 Seater! If you would like to see our alternative colour options please call in store to view our swatches. Please note special orders can take up to 18 - 20 weeks – Terms & Conditions Apply. We love this stunning Grafu Baldai – Alba Chair! An accent chair with a stylish minimal look and detailed stitching to complement any space. Feet - Satin Finish. The Alba Chair is available to order in over 20 colours and fabrics. Note: pricing dependent on Fabric Level. If you would like to see our alternative colour options please call in store to view our swatches. Please note special orders can take up to 10 weeks – Terms & Conditions Apply. 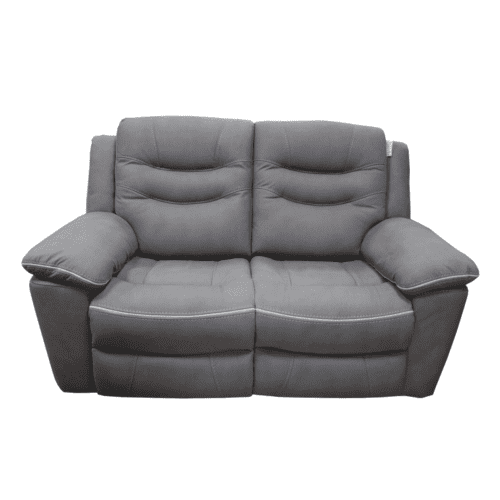 The Alice 2 Seater is ultimate comfort with 'Hi comfort' seat interior, super soft filled arm pads and fibre back cushions! The beautiful and stylish suite is made from a birch hardwood frame which is glued and dowelled for extra strength. Light & Dark Feet Options Available. The Alice is available in many size options – Chair, 2 Seater, 3 Seater & Footstool – available please see spec or ask in store! Note: Price Dependent on Fabric & Colour choice. If you would like to see our alternative colour options please call in store to view our swatches. Please note special orders can take up to 8 weeks – Terms & Conditions Apply. 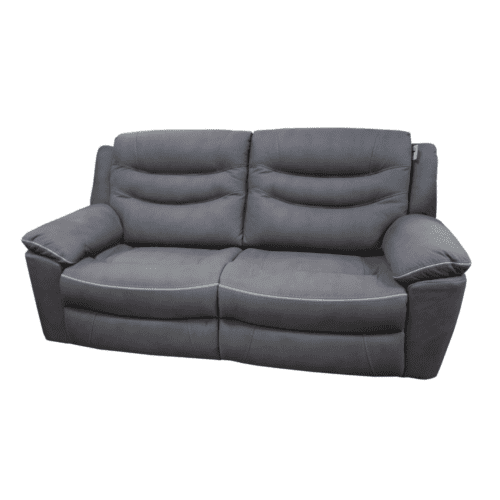 The Alice 3 Seater is ultimate comfort with 'Hi comfort' seat interior, super soft filled arm pads and fibre back cushions! The beautiful and stylish suite is made from a birch hardwood frame which is glued and dowelled for extra strength. Light & Dark Feet Options Available. The Alice is available in many size options – Chair, 2 Seater, 3 Seater & Footstool – available please see spec or ask in store! Note: Price Dependent on Fabric & Colour choice. If you would like to see our alternative colour options please call in store to view our swatches. Please note special orders can take up to 8 weeks – Terms & Conditions Apply. The Alice Chair is ultimate comfort with 'Hi comfort' seat interior, super soft filled arm pads and fibre back cushions! The beautiful and stylish suite is made from a birch hardwood frame which is glued and dowelled for extra strength. Light & Dark Feet Options Available. The Alice is available in many size options – Chair, 2 Seater, 3 Seater & Footstool – available please see spec or ask in store! Note: Price Dependent on Fabric & Colour choice. If you would like to see our alternative colour options please call in store to view our swatches. Please note special orders can take up to 8 weeks – Terms & Conditions Apply. The Alma 1 Seater is a smart modern range featuring a gently curving tear drop arm, stylish accent cushions finished with a smart button detail in back cushions. Simple wooden legs at a contemporary touch. This suite is available in 4 different colours - Beige, Charcoal, Mink & Silver colours in many size options – Chair, 2 Seater, 3 Seater, 3 Seater Lounger, Corner Suite & Footstool – please see spec or ask in store! If you would like to see our alternative colour options please call in store to view our swatches. Please note special orders can take up to 8 weeks – Terms & Conditions Apply. The Alma 2 Seater is a smart modern range featuring a gently curving tear drop arm, stylish accent cushions finished with a smart button detail in back cushions. Simple wooden legs at a contemporary touch. This suite is available in 4 different colours - Beige, Charcoal, Mink & Silver colours in many size options – Chair, 2 Seater, 3 Seater, 3 Seater Lounger, Corner Suite & Footstool – please see spec or ask in store! If you would like to see our alternative colour options please call in store to view our swatches. Please note special orders can take up to 8 weeks – Terms & Conditions Apply. The Alma Corner is a smart modern range featuring a gently curving tear drop arm, stylish accent cushions finished with a smart button detail in back cushions. Simple wooden legs at a contemporary touch. This suite is available in 4 different colours - Beige, Charcoal, Mink & Silver colours in many size options – Chair, 2 Seater, 3 Seater, 3 Seater Lounger, Corner Suite & Footstool – please see spec or ask in store! If you would like to see our alternative colour options please call in store to view our swatches. Please note special orders can take up to 8 weeks – Terms & Conditions Apply. Love the stylish Amuza Lift & Rise Chair available in Brown or Beige. If you would like to see our alternative colour options please call in store to view our swatches. Please note special orders can take up to 10 weeks – Terms & Conditions Apply. We love the stylish and contemporary April Chair! It is so comfy with its extra flex (high density foam core topped with carded fibre) seat and back cushions! Other size options available please see spec or ask in store! The April is made from a birch hardwood frame which is glued and dowelled for extra strength. Light & Dark Feet Options Available. The April is available to order as a Chair, 2 Seater, 3 Seater, Corner, Sofa Bed & Footstool Options. Available in over 20 different colours and fabrics including 1 FREE Scatter Cushions. Choose from over 15 Accent Fabrics for your Scatter Cushion with main fabric on one side. Option to cover both sides in main fabric. If you would like to see our alternative colour options please call in store to view our swatches. Please note special orders can take up to 8 weeks – Terms & Conditions Apply. We love the stylish and contemporary April Footstool! The April is made from a birch hardwood frame which is glued and dowelled for extra strength. Light & Dark Feet Options. Available in over 20 different colours and fabrics. April is available as Chair, 2 Seater, 3 Seater, Corner & Sofa Bed Options. If you would like to see our alternative colour options please call in store to view our swatches. Please note special orders can take up to 8 weeks – Terms & Conditions Apply.